A woman who suffered a severe allergic reaction to nuts during a holiday to Hungary has returned to her family home after five years in care. Amy May Shead, 31, suffered anaphylactic shock from a single bite of a chicken meal on a trip with friends to Budapest in 2014. 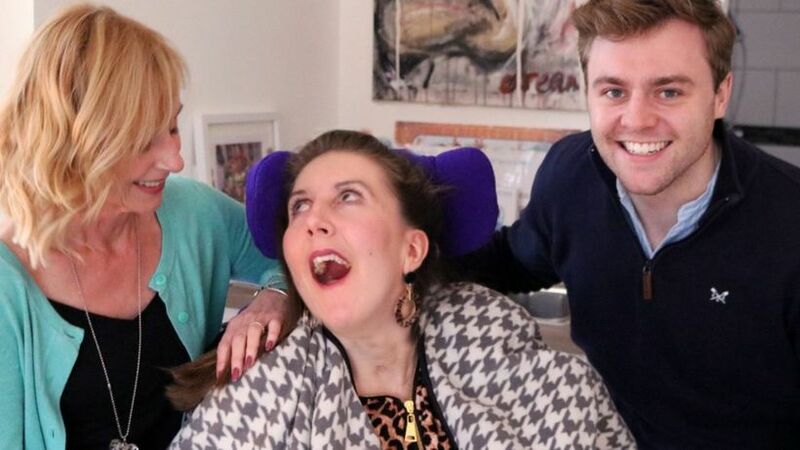 She will now receive 24-hour care in a specially-adapted annex of her parents' home in Westcliff-on-Sea, Essex. Her mother Sue said it was "lovely to have her home". The former ITV producer had managed her nut allergy throughout school and university, and always carried medication she needed to counteract a reaction, her mother said. She had produced an allergy card to staff at the restaurant in Hungary three times and was assured the meal did not contain nuts. Her reaction was "immediate" and resulted in a cardiac arrest, during which Miss Shead's heart stopped for six minutes causing brain damage, her mother added. 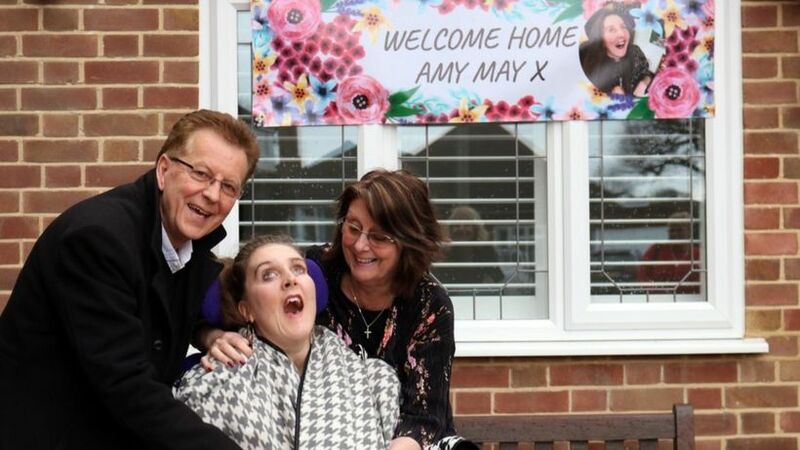 A 24-hour care package is now in place, allowing Miss Shead to live with her parents in a purpose-built annex. "Amy was the most vivacious, outgoing, bubbly young lady you could ever wish to meet," her mother said. 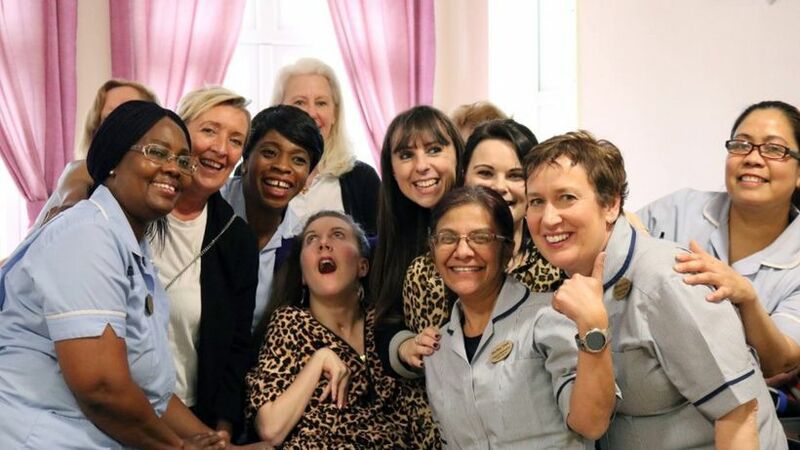 A trust, established in her name by her aunt Julie Martin and cousin Tom, raises money for the intensive physiotherapy and speech and language therapy she receives four times a week. "This layer of tragedy should never have happened, because Amy took every precaution with her allergy," Mrs Martin said. "Her parents' lives have been swept away as well.